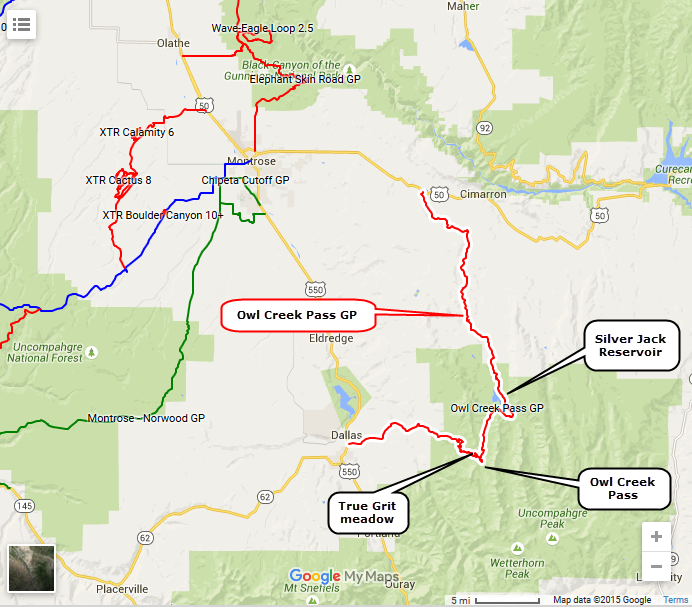 This is an enjoyable and easy 45 mile trip over Owl Creek Pass between the Uncompahgre and Cimarron Rivers. We found a few water-filled potholes in August, but nothing that would stop a passenger car with reasonable clearance. Perhaps it would be muddier early in the year. 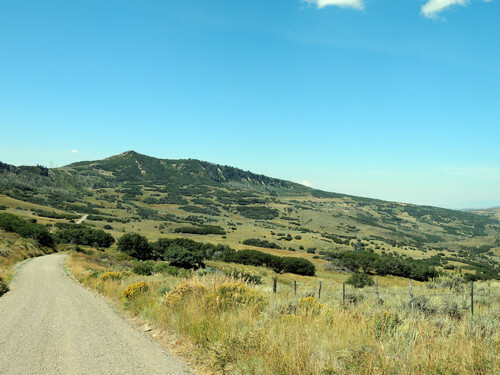 John Wayne filmed scenes from both True Grit and How the West Was Won along this road. 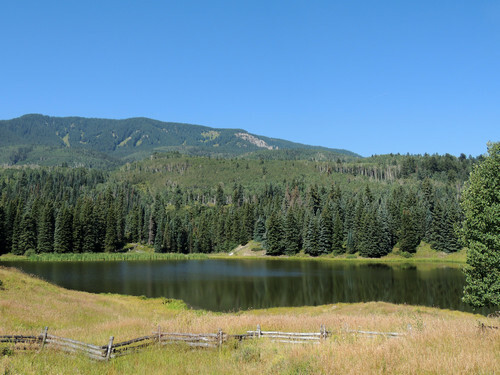 The southern portion of the trail varies from ranch land to forested mountains. 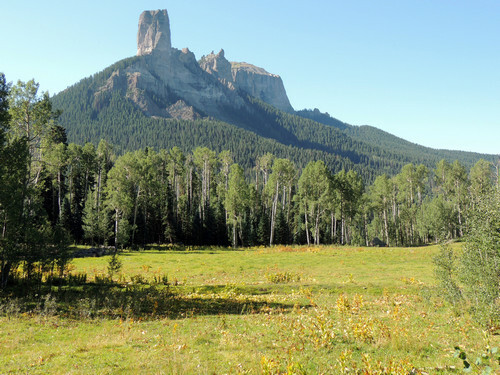 Chimney Rock is a prominent landmark along this stretch. Meadow featured in "True Grit". 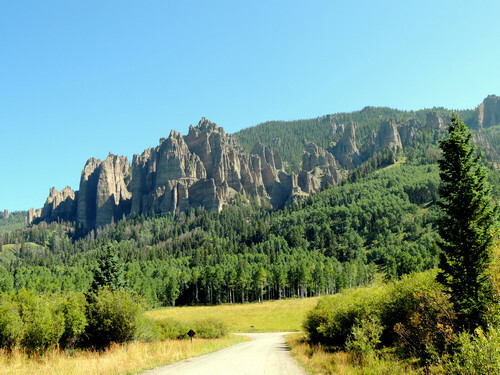 Owl Creek Pass is heavily forested at just over 10,000' elevation. 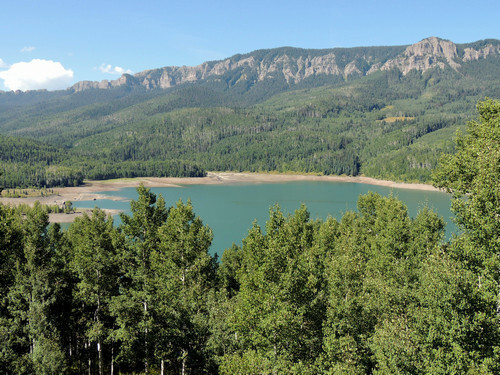 Silver Jack Reservoir is a fair size lake fed by Cimarron River. 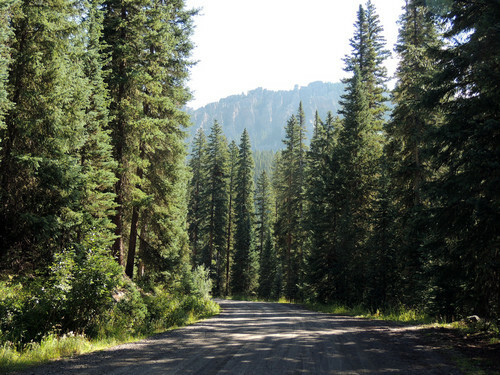 The Cimarron Road is a wide gravel road connecting Silver Jack Reservoir to US 50 east of Montrose. This track follows the main road for a ways toward US 50, but then takes a shortcut on good County road to reach US 50 at Dallas Divide. 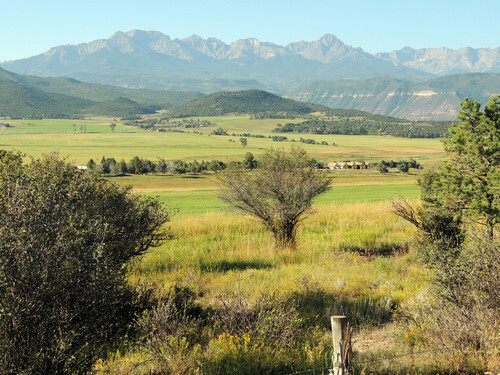 There are areas of private land with cabins and lodges, and also large expanses of open range land.